Mr. Wohlsifer is certified by the Florida Supreme Court to mediate circuit civil and appellate civil matters. A mediator is a neutral third person. Unlike a judge or an arbitrator, a mediator will not take sides or make decisions, but will help each party evaluate goals and options in order to find a solution that works for everyone. Everything discussed at mediation is confidential. 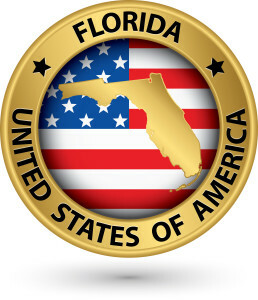 Mediation is required prior to trial in Florida. When an agreement is reached with an opposing party through mediation it can be made legally binding by drafting the agreement in the form of an enforceable contract. In some cases the agreement will made part of a court order. Mediation is much less formal than going to court. In mediation two or more people come together to try to work out a solution to their dispute. The process generally begins with all parties present at the same table. At a strategic point selected by the mediator, the parties are divided into separate rooms for private caucus with the mediator. Alternatively, where personal contact is an issue, it can be arranged so that the parties have no personal contact with each other, at all. The mediator’s role is to help the disputants evaluate their goals and options and develop their own mutually satisfactory solution. Because the mediator has no authority to impose a decision, nothing will be decided unless both parties agree to it. The biggest advantage of mediation over a court or arbitration proceeding is that in mediation the parties have control over the outcome of the proceeding. If the parties do not reach an agreement, the process is simply suspended without any binding effect. On the other hand, the outcome of in-court proceedings tends to be quite unpredictable. Also, the parties have more opportunity to participate in the mediation process than they do in court. Typically, negotiations are resolved in two to three hours, but can continue by agreement for as long as the negotiations are deemed productive. Billy Wohlsifer provides professional mediation services throughout Northwest Florida. Mr. Wohlsifer is certified by the Florida Supreme Court to Mediate Circuit Civil disputes, certified by the Northern District of Florida Bankruptcy Court to conduct chapter 13 Mortgage Modification Mediation, and certified by the Florida Department of Business and Professional Regulation (DBPR) Florida Division of Condominiums, Timeshares, and Mobile Homes, to Mediate Homeowners’ Association disputes. See our Fee Schedule Page for further detail.